Did You Notice? : Trouble Ahead For Toyota's NASCAR Program? Home / Cup Series / Did You Notice? : Trouble Ahead For Toyota’s NASCAR Program? Did You Notice? : Trouble Ahead For Toyota’s NASCAR Program? Did You Notice? … Toyota is lagging behind thus far in the NASCAR playoffs? 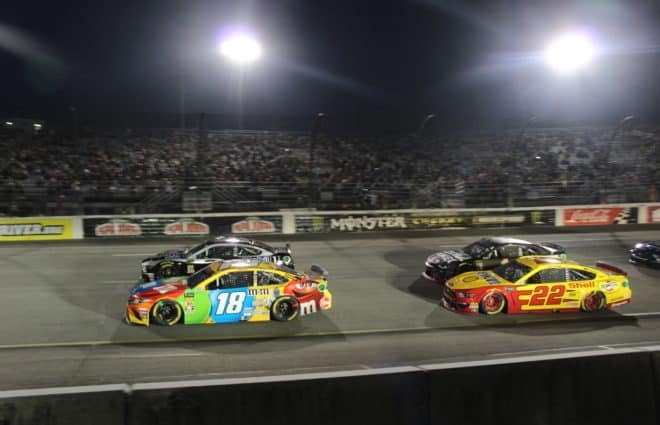 The manufacturer has led just 27 laps in the last four races, all of them attributed to Martin Truex Jr. and Kyle Busch. 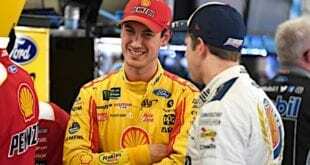 That duo are the only ones to advance into the Monster Energy NASCAR Cup Series Round of 8 after Denny Hamlin and Erik Jones got eliminated in round one. Both Truex and Busch have had their share of problems. The reigning MENCS champ is dealing with his team, Furniture Row Racing, closing down at the end of 2018. While the group has held together well (the pit crew alone propelled him into the Round of 8 at Kansas), Truex and company have had to deal with massive distractions. 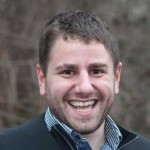 There’s a handful of people from FRR still looking for jobs in 2019; that’s got to be weighing on their mind. And for those already picked up by a team? There’s housing to find, making the 2,000-mile trek from Denver to Charlotte, N.C. Families are being uprooted. When you think about it, just for the No. 78 team to remain part of the Big Three is some sort of minor miracle. Busch, on the heels of a 39-point playoff cushion, should make the Homestead-Miami Speedway season finale no matter what happens. 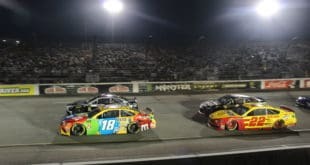 But his team has suffered through handling woes, a broken trackbar at Dover International Speedway earlier this month and a crash at the Charlotte ROVAL. Even last Sunday (Oct. 21), his Toyota was barely on the edge of control despite running second at Kansas Speedway. It’s possible these drivers will rebound the next four weeks, producing a 1-2 finish at Homestead. But there’s longer-term problems brewing for the Toyota outfit come 2019 and beyond. 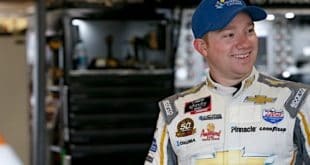 The smallest car count of NASCAR’s three manufacturers is shrinking financially next season, replacing FRR with cash-starved Leavine Family Racing. Their driver, Matt DiBenedetto, has zero top-five finishes in 136 career starts running for underfunded programs. Beyond LFR? That’s about it. 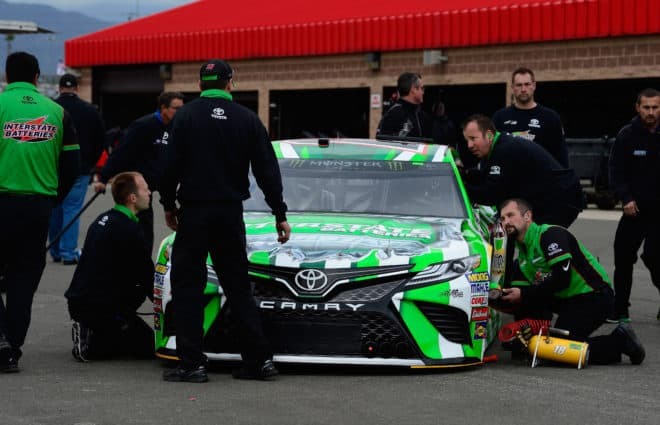 Only eight Toyotas total ran at Kansas: three of them (BK Racing, MBM Motorsports and Gaunt Brothers Racing) are woefully underfunded programs. BK’s No. 23 had its charter purchased by Front Row Motorsports; they’re almost certain to change manufacturers. That leaves all the eggs in the Toyota basket right at the feet of Joe Gibbs Racing. Why is that a problem, you might be asking. After all, JGR has won the title as recently as 2015 with Kyle Busch. Back then, only middle-class Michael Waltrip Racing (now defunct) and BK Racing were available for testing and support. But JGR is also a team in transition. Truex will all but certainly replace Daniel Suarez at the No. 19 after FRR closes shop. Jones is in just his second year with the program after replacing a sponsor-starved Matt Kenseth at the No. 20. Hamlin is on the verge of going winless for the first time in his full-time MENCS career (since 2006). Unlike competitors Chevrolet and Ford, both of whom have several top-tier outfits, JGR has no other organization to bounce ideas off of. Losing FRR means there’s one less extra set of notes to lean on when the organization as a whole is struggling. But the small car count also creates a more important long-term problem: a backlog in talent. Christopher Bell, despite six wins in his first full-time XFINITY Series season, had no Toyota Cup ride available for him. Fellow XFINITY teammate Ryan Preece saw the writing on the wall; he signed with Chevrolet and JTG-Daugherty Racing for 2019. Top Truck Series driver Noah Gragson has also been lost, jumping to JR Motorsports. 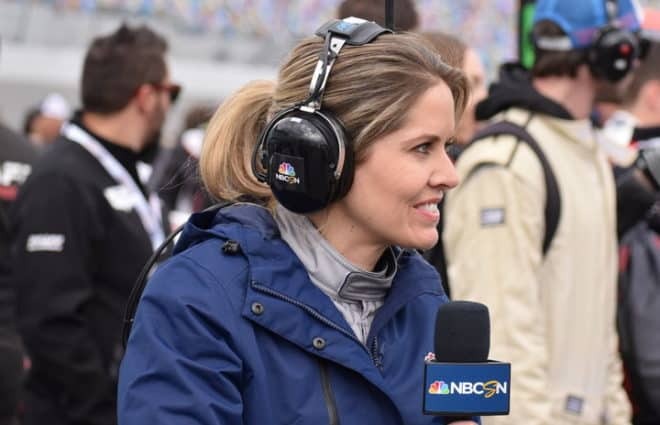 Perhaps Gragson sees a clearer path with open spots at Hendrick Motorsports and Chip Ganassi Racing possible down the line. You can’t say the same for the Toyota camp. If Busch or Truex wins the MENCS title this year, they’ll combine for three of the last four championships at NASCAR’s top level. Have fun trying to kick them out of a JGR ride. Jones is considered one of the sport’s bright 20-something future stars; Hamlin seems tied to sponsor FedEx like superglue. 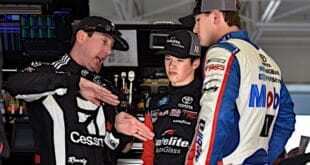 So the only way for Toyota to keep young talent down the line is simple: expand their Cup, XFINITY and Truck programs. But that commitment is one they’ve been both unwilling and unable to make. After announcing they’ll change to the Supra model in XFINITY next season, the manufacturer made mention of “potentially” expanding their fleet. But just seven Toyotas ran in the Kansas XFINITY race on Saturday (Oct. 20), one less than the Cup race. JGR’s three-car team was flanked by three virtually unsponsored cars owned by Carl Long, one of which start-and-parked, along with a JP Motorsports car driven by Josh Bilicki. Producing a top-30 finish would be a minor victory for any of those programs. Toyota’s Camping World Truck Series representation is better; they had eight spots in the 32-car field at Talladega. Kyle Busch Motorsports has done great developing young talent but they no longer have an XFINITY Series program. So what happens to drivers like Todd Gilliland when there’s no room at the inn? The manufacturer was also unwilling to step in financially and save Shigeaki Hattori’s team when their championship bid was in peril with Brett Moffitt. Of course, Toyota may simply press on, content with their four-car, mega-team model. But Ford changed the game this year with the ability for its teams to work together and provide information in large doses. This manufacturer has always favored quality over quantity, but come 2020 and beyond, they may need to find a way to balance those two terms out a bit more. Did You Notice? 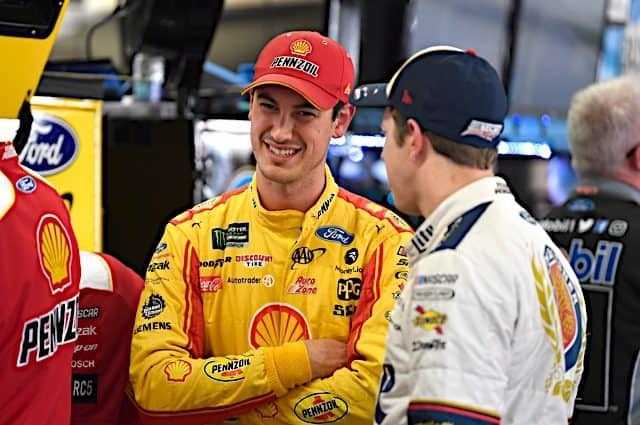 … The top-five finishes of NASCAR’s Big Three, combined, overwhelmingly dwarf the totals of the five other title contenders this season? They’re also overwhelmingly ahead in virtually every other category you can think of. The differences between them are stark. It’s like three 14-2 NFL teams going up against a bunch of 9-7 opponents in the Divisional Round. For any of the five to win the title as opposed to the sport’s Big Three would be the biggest upset we’ve seen to date since the sport adopted the current playoff format in 2004. Yet there’s a good chance one of those five could eke this one out. Consider that during the five years of the sport’s current postseason format just once (2017) would the champion have also won without a playoff. Harvick, the 2014 winner, would have been fifth in the non-playoff standings. Johnson (2016) was eighth while Kyle Busch (2015) was nowhere to be found after missing nearly one-third of the season due to injury. Playoff and stage bonuses, in my opinion, were enacted last season to partially counteract that trend. So now we’ll see how it all plays out. At least there’s no winless drivers remaining in the field. Kyle Busch has won three of the short track races this year, ran second at Martinsville this spring and wrecked at Bristol with arguably the fastest car. If he isn’t a top-five lock this weekend, then you know something is off in the JGR shop. It’ll be intriguing to see who earns Spencer Gallagher’s ride in the NASCAR XFINITY Series next season. Why? Spencer’s father, Maurice, foots much of the bill through his airline, Allegiant Air, along with other business interests. 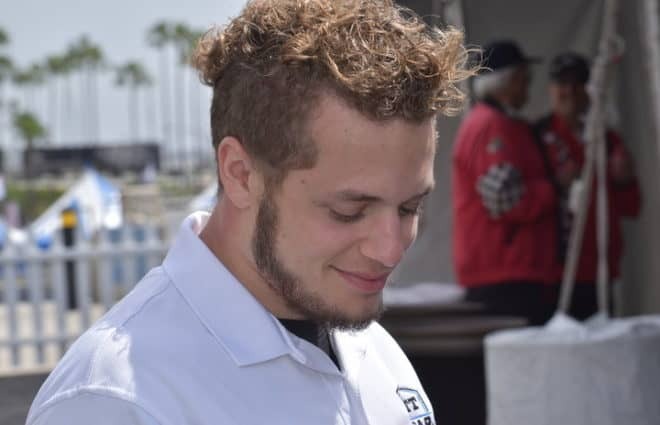 On paper, GMS Truck Series driver Justin Haley has earned the right to move up, especially after his win-turned-yellow-line-defeat in Daytona’s July XFINITY race. But if not? The ride is good news for older drivers like Trevor Bayne looking for a career rebuild without the sponsor money to keep them afloat. Who knows how much sponsor money Chip Ganassi will have to play with in the NASCAR XFINITY Series. But if at all possible, he should find a way to keep both Ross Chastain and John Hunter Nemechek. Potential 2019 signee Kurt Busch turned 40 this year and may only race a few more years. Plus, there’s room on the CGR roster with the team only running two full-time Cup Series programs. If they can find the money to match the talent (how often do you hear that in NASCAR these days?) I expect both will find a spot on the roster. The only interesting part of the Kansas race was the litany of pit road penalties. However, the uncontrolled tire one in particular feels like it’s getting out of hand. I understand the safety push behind the rule, but there’s a difference between out of arm’s reach and rolling across pit road hitting other drivers. The more you over-regulate, the more you get officials involved, creating subjective calls subject to fan debate and criticism. That’s never a good thing in any sport and NASCAR needs to stop the madness of expanding a rulebook not everyone can access in the first place. Darrell Waltrip has jumped into the political game, openly supporting Tennessee Republican U.S. Senate candidate Marsha Blackburn. But his push for Blackburn only highlights NASCAR’s right-leaning tint in an era where they’re trying to push diversity. Waltrip has every right to support who he wants publicly but I think open political support of candidates hurts NASCAR more than other sports in this polarization era because of their consistent, right-leaning tint. There’s no balance of support and that risks alienating those on the other side. Other sports commentators lean decidedly and obviously left. So that some NASCAR commentators lean right is actually a sign of political diversity that is missing in other sports. Net gain for NASCAR. Maybe we can pick up some of the fans that the leftist NFL is driving away. The Toy’s slump seems to coincide with the disappearance of the genius BZF. won’t the toyotas be going to supra model next year? be interesting to see what kind of learning curve that will throw the teams. There is a huge difference between a manufacturer ‘partner team’ and a team that has a technical agreement or buys stuff from a partner team. I think…Chevrolet has 3 teams totaling 8 cars, Toyota 2 teams totaling 5 cars and Ford has 3 teams totaling 9 cars. (not sure what the Wood Brothers are) The other teams are either paying through the nose or they are not going to be competitive. By this defiinition, there are only 22 cars max (incl Roush) that have any chance of winning. There is not sufficient return on investment for any manufacturer to up their present expenditure. This is why Nascar is going after new OEM’s and why they don’t appear interested. Instead of Nascar asking what the fans want they would be wise to ask the manufacturer what they want because, like it or not, that is where the money is. IMHO Nascar is afraid that if one of the manufacturer leave the rest will follow suit. That would take an estimated 250 million out of the sport. Of course the technology will still be there and the teams can make many of the parts but it wouldn’t be the same. There is a reason so many former GM executives are working for Nascar you know. I hardly see these issues as being problems for Toyota. Lower car count is first. Quality certainly is better than quantity in this case. Secondly why spend money unnecessarily in a series that is by any measure fading? Actually it seems that Toyota is making some pretty sound business decisions here. As for Furniture Row, Toyota could easily, if they had wanted to, have prevented that. That of course presupposes that the owner really wanted to continue. They chose not to which reinforces my thinking that they are narrowing their focus in this declining sport. Toyota’s model, one super team and no others, will certainly be interesting to watch. Something tells me they will find another team to switch over. Historically, Ganassi seems willing to go with the highest bidder. Not sure what their current contractual obligations are with Chevy but that would be my bet if Toyota decides they want more teams. I’d prefer that celebrities keep their mouths shut when it comes to endorsing anyone but that isn’t going to happen, but that isn’t going to happen. that’s what happens when you put all your eggs into one basket.